NZ time: Sat. 20 Apr, 02:55p.m. 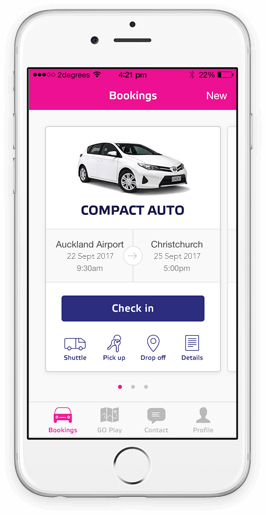 Download our FREE GO Rentals App for the ultimate kiwi car rental experience! 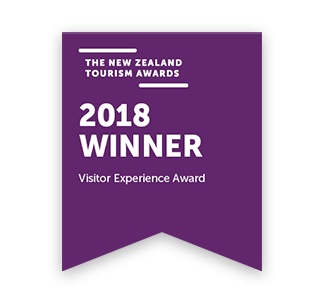 Our team at GO is constantly striving to make your travel in New Zealand easier and breezier. Our app is everything you need for a super smooth GO Rentals experience, all in the palm of your hand. Whether you’re looking for a super easy rental car booking process for your next trip or you want easy access to all your booking details, this app will be an invaluable part of your journey. Book a car for your next trip, quickly and easily. Build your profile within the app so that you never have to enter the same information ever again. Order a shuttle at the touch of a button and be picked up in minutes. Real time updates will let you monitor the shuttle’s arrival time. Check in on your phone and save time at the counter by gaining access to our "GO fast" lane when you arrive at the branch. No more printing booking information – everything you need will be conveniently stored in the app. We’re changing the way we do car rentals and we are excited to take you on our journey. We promise to be the best car rental experience you’ve ever had. Shuttle service is quick and the app now makes everything very fast and convenient. Ease of booking - love the mobile app - staff very friendly & extremely helpful. Excellent systems for managing the whole booking. Initial booking, smart phone app, digital signature for accepting vehicle report, T&C's etc. Automatic emailing of the forms.